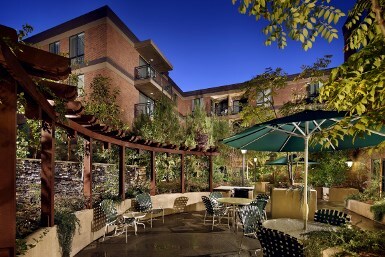 Rittenhouse Square is a 100-unit, tax credit property for people 55 and over located in South Los Angeles, CA. The property is accepting applications for the waiting list. This property accepts Housing Choice (Section 8) and VASH vouchers. Rittenhouse Square features a spacious community room, a courtyard with rock waterfalls, a large fitness center, computer lab, and on-site management staff. Monthly activities include bingo, exercise classes, and resident parties. The property features one and two bedroom units which include stone countertops, stove, refrigerator, garbage disposal, dishwasher, heating and air-conditioning, and large bathrooms. All appliances and lighting are energy-efficient. Rittenhouse Square is conveniently located near public transportation and various restaurants and markets.